"Most people are happy with the fit and finish of this sheet set." "Top choice...budget sheets that will still give you a great night of sleep." "When it comes to everyday wash and wear, these sheets perform well." "The ruffle detailing isn’t overly feminine, but it does add a stylized touch." "Soft feel and fine texture...popular for their abundant color options." "You can sleep in hotel-quality sheets every night with this...sheet set." "Warm and dense as flannel...popular for being so soft and easy to care for." "Soft and thick sheets are a go-to choice for cold weather sheet sets." "An alternative fiber...option that will keep you cool and comfortable." "These cheery sheets will make any room feel more inviting." If you want a tidy, neatly made bed that would make your mother proud, then look for a set of sheets that washes and wears well. Our top pick is a wrinkle-resistant sheet set like the 1,000-Thread Count Easy-Care Sateen Bedding Sheet Set, available at Walmart. This easy-keeper sheet set is made from a practical blend of 55-percent cotton and 45-percent polyester. Unlike 100-percent cotton sheets, these blended sheets are wrinkle-resistant while retaining a soft feel. The sateen weave and 1,000 thread count boost the luxe factor of this sheet set and they come in neutral tones that will fit a wide variety of bedroom décor. You may need to wash these sheets a few times to release their softest, smoothest feel, but most people are happy with the fit and finish of this sheet set. For a basic set of sheets with a price that can’t be beat, microfiber sheets are the way to go. 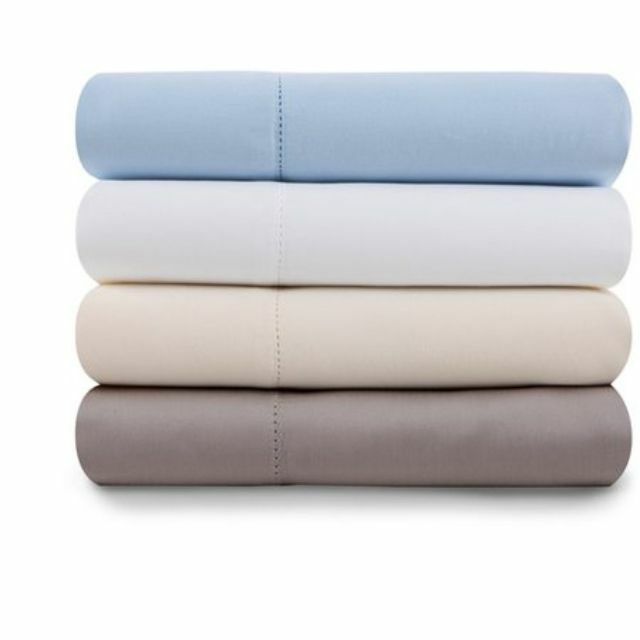 The Mainstays Microfiber Sheet Set is a top choice if you’re looking for budget sheets that will still give you a great night of sleep. These microfiber sheets have stacked up more than 1,000 positive reviews, and their soft feel is one of the first things people notice about them. Available in sizes ranging from twin to king (and available in a bunch of color options), these sheets will fit your bed and your budget. A few reviewers complained about pilling or small holes appearing after many washes, so if you want a set of sheets that will last for years, this may not be the best set. But for an affordable sheet set that costs only $8 to $20 depending on size, you can’t beat the value of this Mainstays Microfiber Sheet Set. For a smooth and soft set of cotton sheets, select a sateen weave. The 500-Thread Count Veratex Supreme Sateen sheets are a popular choice that won’t disappoint. These sateen sheets are made in the USA, which is a major plus for many people that buy them. They have a thread count of 500, and the hand feel is described as very soft and comfortable. It should be noted, however, that these are quality sateen sheets – not satin sheets! Some people have been disappointed in the feel or finish because they were expecting slick, shiny satin. When it comes to everyday wash and wear, these sheets perform well. They seem to wash and dry with little fading or wear. They also have deep enough pockets to fit over most mattresses without a struggle. If you like 100-percent cotton sheets with a soft sateen weave, the Veratex Supreme Sateen sheets are worth your money. If you love the crisp, cool feeling of cotton percale sheets, then this chic and affordable set from The Pioneer Woman is our top pick. The ruffle detailing isn’t overly feminine, but it does add a stylized touch to this simple sheet set. These sheets are 100 percent cotton, so they’ll be breathable through all types of weather. Sheets with a percale weave are known to be a bit stiff, so it’s no surprise that these sheets will feel a little starchy compared to some other weaves. A few people found them to be too stiff for their liking, but nothing that a little fabric softener or white vinegar couldn’t remedy. Microfiber sheets are popular for their soft feel and affordable price tag. They're made from very soft microfiber, which is a synthetic fiber. Each strand of microfiber is smaller than a single strand of silk, but once woven into textiles, this fine thread texture gives sheets an exceptionally smooth feel. These sheets are advertised as being of ‘Egyptian quality’ but note that they are not made from Egyptian cotton. Still, they have the soft feel and fine texture that many people associate with quality Egyptian cotton sheet sets. These microfiber sheets are also popular for their abundant color options and sizing options. Who doesn’t love sinking into a luxurious, soft hotel bed—then sleeping in past your alarm and enjoying room service in bed? While you may not be able to replicate this dreamy experience on a regular basis, you can sleep in hotel-quality sheets every night with this Hotel Style 600-Thread Count Luxury Sheet Set. Made from 100-percent cotton with a sateen weave, these hotel-style sheets are available in a rich color palette that will add a touch of elegance to your bedroom. The sheets are available for full, queen, and king mattresses and feature deep pockets that will accommodate mattresses up to 20 inches deep. That’s usually also plenty of room to fit around a mattress topper as well. People find that the Hotel Style’s OptiFit elastic band around the fitted sheet keeps the sheets in place and looking great, even if you toss and turn at night. A few people mentioned that the sheets seemed larger than normal, with a lot of extra material at the bottom and sides of the bed. However, this seemed to be the exception rather than norm – and if you sleep with a sheet stealer, you won’t need to battle for your half of the bedding anymore! Jersey sheets have carved out a niche for themselves in the sheet department, thanks to their t-shirt soft feel without being quite as warm and dense as flannel. The Luxury Modal Cotton Jersey Knit Sheet Set is popular for being so soft and easy to care for. This t-shirt like sheet set is actually made from modal jersey, which is technically 70-percent modal and 30-percent cotton. The result of blending modal and cotton together is a sheet that is supremely soft but may sleep a little hotter. If you tend to be a hot sleeper, these may not be the best sheets for you. For most people, though, these modal jersey knit sheets are like sleeping in your favorite t-shirt. With more than 400 glowing reviews, it's clear that people are impressed by the soft and comfortable feel of these sheets. They also tend to wash and dry well, making them easy to care for. A few people noted that the sheets tend to shift or bunch during sleeping, but jersey sheets are known for a little shifting. In search of warm and cozy sheets to pass a wintery night? Then this set of 5-ounce flannel sheets should do the trick! These soft and thick sheets are a go-to choice for cold weather sheet sets. While some more heavy-duty flannel sheets exist on the market, these sheets are a weight that is comfortable for your average winter night—just maybe not if you live in the Arctic. They’re brushed on both sides for softness, which is a key factor to look for when shopping for flannel sheets. Many reviewers were happy to report that these sheets just got softer and cozier with repeated washing. As they are laundered, the soft nap of the flannel becomes fuzzier and fluffier, which gives these flannel sheets their characteristic coziness. 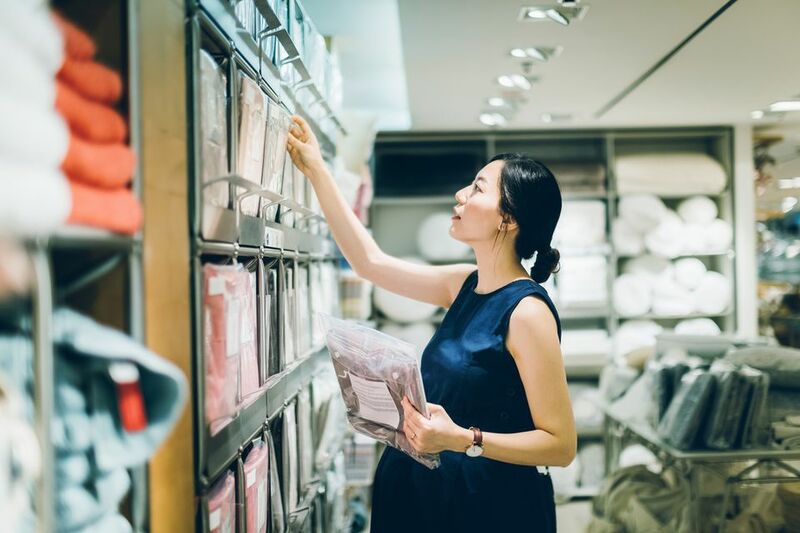 If you leave in a hot weather climate or you're looking for the right set of sheets for a hot sleeper, you need a set that wicks away moisture. We love this Woven Tencel Sheet Set because it's an alternative fiber bedding option that will keep you cool and comfortable. Tencel is an eco-friendly material made from bamboo, a sustainable fiber source that grows quickly. Tencel sheets also have a big claim to fame—they wick moisture 50-percent more efficiently than cotton! So if you or your partner often wake up hot, sweaty, and irritated, try a set of alternative fiber sheets like this Woven Tencel Sheet Set. Sheets for kids should be affordable, durable, and fun! The Your Zone Microfiber Sheet Set checks all of those boxes and is a great value. These microfiber sheets are available in twin through queen size—so they’ll fit the bed of your youngest child or even an older teen that still wants soft, bright sheets. There are a variety of fun prints available too. The sheets themselves don’t fade with washing and they fit mattresses snugly. Reviewers love how soft they are and many are tempted to buy another set— which is easy to justify with the budget-friendly price tag. No matter how you use them, these cheery sheets will make any room feel more inviting!